“No!” – That was the indignant answer I gave my BJJ coach as I sat on the mat, dishevelled, sweaty and out of breath from a tough roll, that ended with me being submitted (as usual). Seven months I had been training Brazilian Jiu Jitsu, sometimes up to five days a week as I worked hard to get better – and keep up with my teammates. I had watched those who started classes at the same time as me go from strength to strength, picking up moves quite quickly and earning stripes for their white belts. They’d enter local competitions and end the day with medals around their necks. I’ve entered a couple of comps too – the best result to date has been a draw with a (much lighter) blue belt, the rest.. losses on points or by submission. I’ve been keen – spending hours at a time at the gym, responding to Facebook posts by my teammates to meet up for extra training sessions, eagerly joining Australian Girls in Gi events for the chance to roll with people more my own size and strength .. even regularly heading to a gym friend’s house for some drilling. So why wasn’t I getting better? I know they say it takes a good year for this sport to click, and for you to really understand what you’re doing, when to make a move and why. All that pent-up angst bubbled up. I was about to let loose on my coach who was standing over me, tell him how much it sucked that he didn’t seem to care about how I was progressing or offer any words of advice or encouragement..
Then I noticed the strip of white ribbon dangling between his fingers. And I burst into tears. Relieved, proud, happy tears. CONGRATS! Awesome story! You are well on your way! 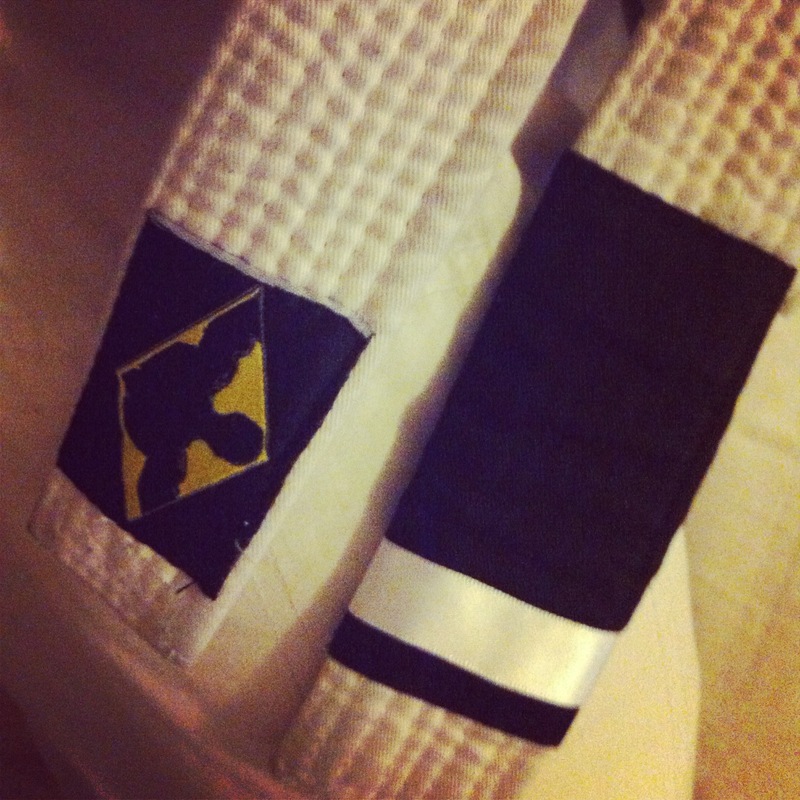 As they say, “A black belt is just a white belt that never quit”! If you don’t mind my input, don’t just focus on techniques, but focus on consistent principles and you will speed up your progress! I’ll be writing a post about this subject soon for my site. MikalBJJ.com. Can’t wait to hear more about your journey!